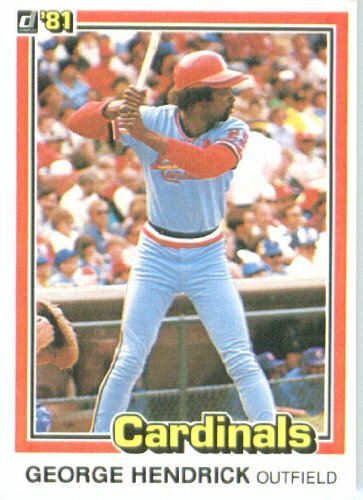 a year ago, i posted a 1984 donruss george hendrick card showing his long pants covering up his stirrups - evidence that the decline of western civilization began as early as 1983. this was an update of a previous post showing the no stirrups look on hendrick's 1988 topps card. 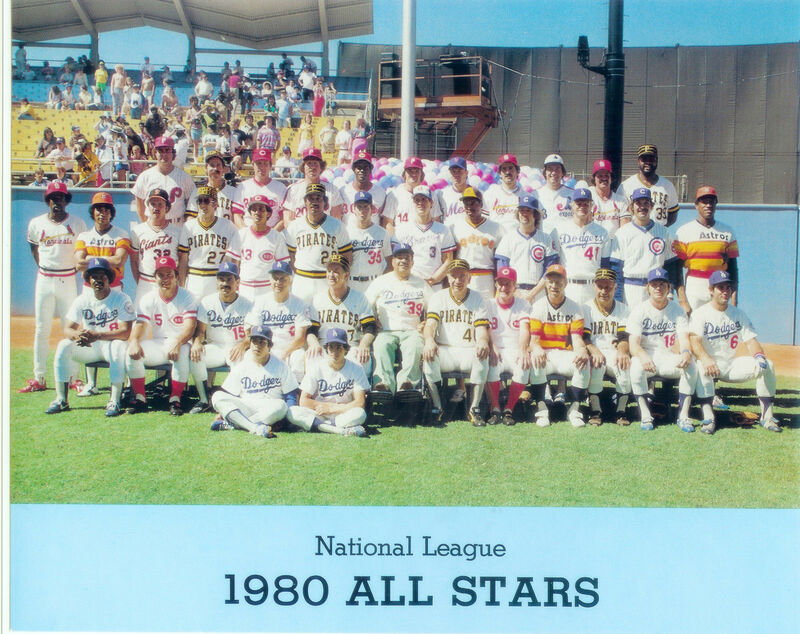 well, i recently stumbled across this photo of the 1980 national league all-star team (taken in beautiful dodger stadium, by the way), and noticed that hendrick was wearing long pants! that's george standing next to the astros' jose cruz at the far left of the photo. look at all of the stirrup greatness in the front row of this photo - especially the reds' johnny bench and john mcnamara, the astros' bill virdon, and yes, the dodgers' steve garvey. and then there is hendrick. roy campanella isn't showing any stirrups, but he's wearing real pants - not baseball pants. which again shows the long pants. i guess 10-year old gcrl blocked this memory due to the aesthetic horror that it represented. anyone have any earlier photos of hendrick? how far back does this look go? It's sad that stirrups have come and gone. When I was in Little League... I was always proud to show off my team's colors with my stirrups, matching belt, and if I was lucky... I even found the batting glove to go with it.